Tim Green turned out to be one of our main players here at Cocoon Recordings as he is looking at his fifth release with this one already. Well done chap! This means that Green is one of the artists that reflects the sound of the label like only a few others out there: Minimal Techno with the right amount of energy but not too cold and spiced up with fat basslines and manic synths to burn down every floor - that is Mr. Green in full effect!London based Tim Green seems to be the master of that typical sound we are focusing at. His top notch musical output is full of energy and features colorful melodies and sounds. He composes like a painter paints, layer by layer and all based on a solid but perfect foundation. Green creates his tunes with big musical potential but manages it to keep the balance right without being too melodic or even over intelectual. His acoustic paintings are always impressive - they appear heavy and perfectly designed. They communicate straight and clear. Green is the fighter against simple and boring loop arrangements with dodgy one note basslines. 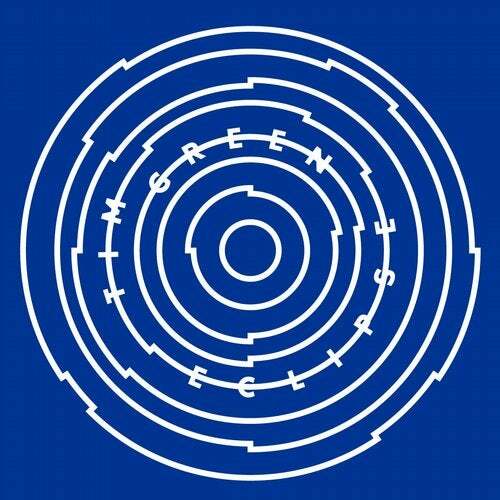 His music is fine food for dancers and listeners at the same time - both in perfection.Greens new release for Cocoon is no exception to this and follows that working formular: Eclipse and Thieves are big productions with massive melody-parts wrapped in a minimal cover. His beats and bass-programing are on spot and make his composition complete. This ep appears again super heavy and colorful and just perfect. This is the right sound for all those upcoming 2015 open air festivals, hedonistic music in a sentimental mood that just makes us wanna dance - bring it on Mr. Green!